Weleda, makers of natural skin and body care products since 1921, is turning its expertise to nail care with the newest addition to the Weleda family, Pomegranate Nail Care. To be used alone or as a 2-part system, the Pomegranate Nail Care Softener Pen and Nail Care Pen work to soften, protect and intensively care for the nails. Use with Weleda Pomegranate Firming Hand Cream for the healthiest hands, as well as nails. "Rough and dry cuticles are softened with with a rich blend of nurturing plant oils featuring 98% organic ingredients that work together to condition and help gently remove cuticles." 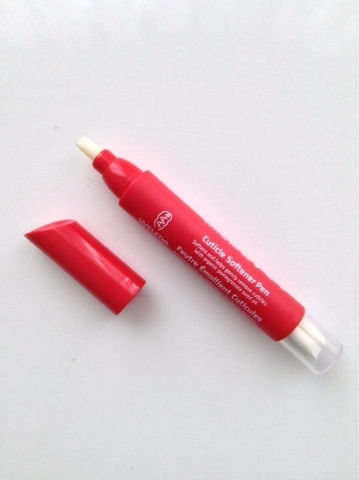 This cuticle softener pen comes with one pre-saturatd tip and three replacement tips at the other end of the pen. These tips are about the same size as an orange stick. 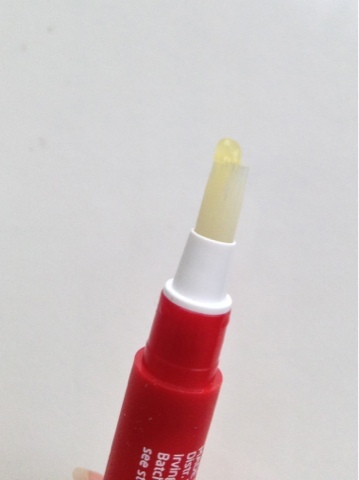 At first I thought you had to pump the tip to release the product but the tip does not move, instead the product is absorbed by the tip and you apply the product as needed. Not a lot of product comes out and I almost wished that the tip could release more product. The instructions advise you to use the cap as the cuticle pusher but I preferred using the tip instead because it was just as rigid as the cut but it was thinner in width and I felt I had more control. Although the cap did have a nice curve to it that would fit to the contours of the nail. Overall I liked the scent of the product, which smelled like citrusy pomegranate to me. I liked that Weleda included replacement tips conveniently placed at the other end of the pen and that it did help soften up my cuticles. It made pushing them back easier. It did not however, remove cuticles as it claims on the label. But what with the product being 98% organic I didn't expect it to contain anything harsh enough to remove cuticles anyways. 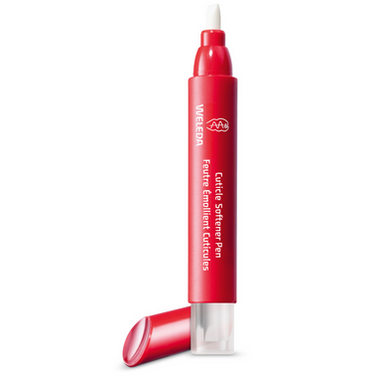 It was most useful to me as a touch up pen to gently keep the cuticles back, I would not recommend this product if you had a thick cuticle overgrowth. You would need a stronger product in that situation. 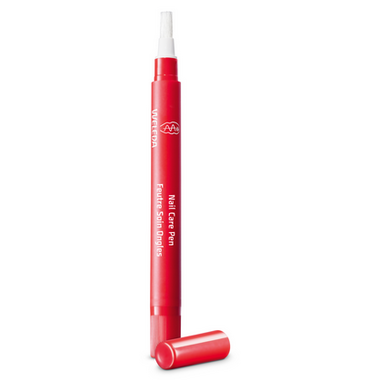 "Featuring a convenient, easy-to-use brush applicator, this 91% organic nail pen provides intense nourishment and promotes healthy nails and cuticles with vitamin-rich plant oils and moisturizing Shea butter. Chamomile extract and beeswax round out the list of beneficial ingredients." This cuticle pen had a thicker consistency than any other product in pen format I've used before. I suppose I've grown used to cuticle oil pens so I pleasantly surprised that instead of oil the product was more like a thin balm that melted and absorbed quickly when I applied on the skin. These nail care products are a little bit on the pricier side compared to what else if on the market but they contain almost 100% organic ingredients which reflects the pricing. 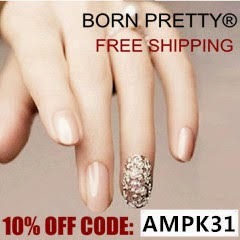 They work nicely hand in hand and have kept my cuticles looking hydrated and healthy these past couple weeks. They were especially helpful a couple weekends ago when Toronto experienced a cold snap with the temperatures feeling as low as -39 degrees celsius! The Weleda Cuticle Softener Pen and Nail Care Pen can be purchased through the Weleda website, Amazon or well.ca to list a few vendors.